BBS is having a great time at recess. There are always games we can play like, sprout ball, Derpy-mon, and simply just playing on the play structures.From “Everybody’s it tag” to Tree Fort building, we will always have smiles on our faces! So many of the kids find their own ways to entertain themselves. There are so many smiles all the time: and sometimes, the playground sounds like a laughing frenzy. Most of the time, almost all the students have the same interest at the same time. One of the big recess things that we started up was “Everybody’s it tag”. That game was played almost everyday, for two weeks. Whenever there was a misunderstanding, we would try our best to solve the problem and continue with the day. They ended up making their own rules and making up really cool things and powers they can do in the middle of their game. We always made it as interesting as possible. After a week or longer, Tree Fort building became huge!! When we first started, there was two forts being built. Soon, the teachers designed to have a rule were we were only allowed to have one fort. It wasn’t that big of a deal, and we still found ways to make it the best tree fort ever. BBS always finds a way to have fun and never let their imaginations fade. At BBS, we believe we can accomplish anything. I hope you get hit with knowledge about Ancient Egypt because that’s what we have been studying in history class! 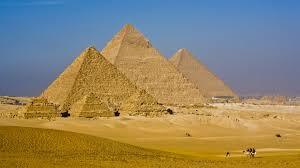 We learned about how the ancient Egyptians built the temples and pyramids with skilled workers. They carved really, really good bricks from sandstone using protractors and tools. We learned about what they ate and drank. They drank beer and water, and ate bread from wheat and barley. They also ate fish but very rarely ate other meat. Honey made their food sweet. They wrote in three different languages, which were found on the Rosetta Stone. The Egyptian and Greek helped decode the hieroglyphic symbols and what they meant. The Ancient Egyptians had weird boats made out of wheat that looked really cool. Most of their clothes were light colors like white, tan, and possibly gold because Egypt was hot. We learned interesting facts about their gods, like Osiris (the god of death) and Ra (the sun god). Anubis was linked to the mummification process, where bodies were preserved, as well as the journey to the afterlife. We were hit with knowledge about Ancient Egypt in history class! Did you get hit with knowledge as you read this? Our class has been studying volcanoes this fall and my mind exploded with information after writing this blog. I hope yours will too! Here are some definitions of some important aspects of volcanos...A key species is a type of species that starts life back up after a volcano explodes. A key species usually pops up in a dead zone. A dead zone is usually a zone that is all dead after the lava covers the land. There is usually only dead logs left. And what causes a dead zone is a lava zone. Lava zones are very destructive things and can cause a lot of damage to wildlife and homes. A magma chamber holds all of the magma underground so you can say the volcano lives off of a magma chamber. The lava explodes out of the magma chamber. 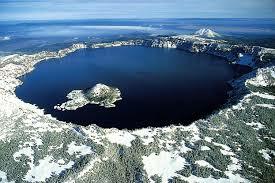 A crater can be caused by an explosion. A really big explosion has to happen to cause a crater. When craters are sometimes being formed by explosions, ash clouds can happen. 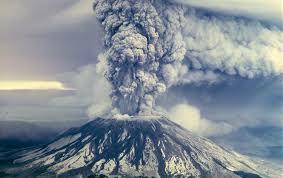 Ash clouds are made entirely of ash and they cause a lot of air pollution when being formed. Finally, igneous rock is a lava rock that sometimes hardens under the earth's surface, forming granite. Sometimes this kind of rock cools from exploded lava on the earth's surface. One kind of cooled lava is obsidian.